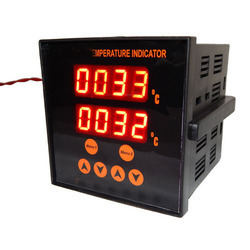 Prominent & Leading Exporter from Mumbai, we offer temperature scanner, cleanroom indicator, digital thermo hygrometer, temperature indicator and thermo hygrometer. We are a famous organization in providing a supreme quality assortment of Temperature Scanner to our customers. 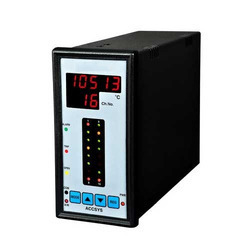 These have high accuracy (14-bit resolution), μP based, self-diagnosis function input fail-safe operation and communication (RS485/ RS232)/ MODBUS/ printer port. Apart from this, patrons can avail these products at competitive prices. We have marked a unique position in the domain by offering a wide gamut of Cleanroom Indicator to our respected customers. Manufactured using best quality materials, we offered these products in different specifications. The offered products have nonvolatile RAM for data restoring, alarm facility, auto calibration facility and fully configurable from front keys. Room pressure, temperature and humidity indication and sensor. Available in gauge and differential pressure ranges. 15 to 27 Vdc Loop Powered supply. Non Volatile RAM for data restoring. Bilt in hotter and alarm facility. Fully configurable from front keys. Password protection for key in data. RS485/RS232 Modbus RTU Connectivity with PC base software. Zero spans adjustable up to 10% of the range. The material in Contact with Media Silicon diaphragm, glass filled nylon, silicone, and alumina ceramic. 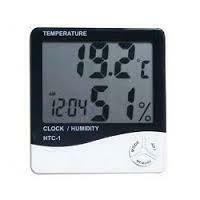 We have established ourselves as an eminent name in offering a vast array of Thermo Hygrometer. This product is manufactured using quality tested input factors as per the preset industry norms. Also, our customers can avail these products from us at very cost effective rates. 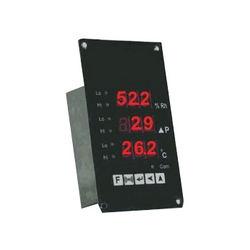 Our offered hygrometer is the combination of high accuracy measurement technology with modem design.